Move data between proprietary software in digital content creation for use in GIS. Automate your workflows and create batch translations. 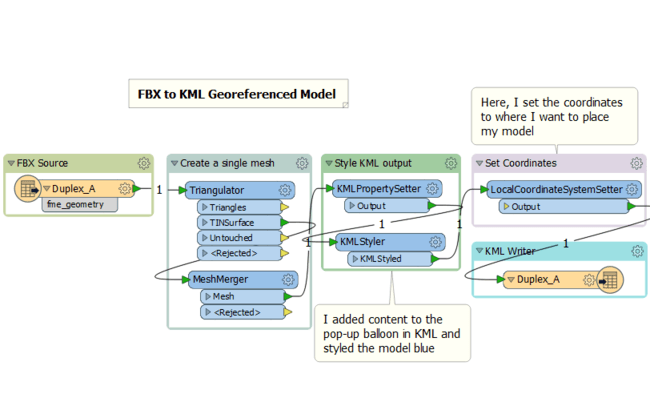 Integrate FBX data for use in GIS with FME, writing out to formats like Shapefiles, Esri File Geodatabase, and KML. 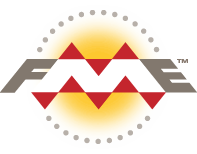 Once your workspace is set up, FME allows you to reuse workspaces over and over again, with the option to create batch translations. Since FBX data models support mesh surfaces, spatial data such as TIN surfaces can be written to FBX using transformers like the TINGenerator and the SurfaceModeller. 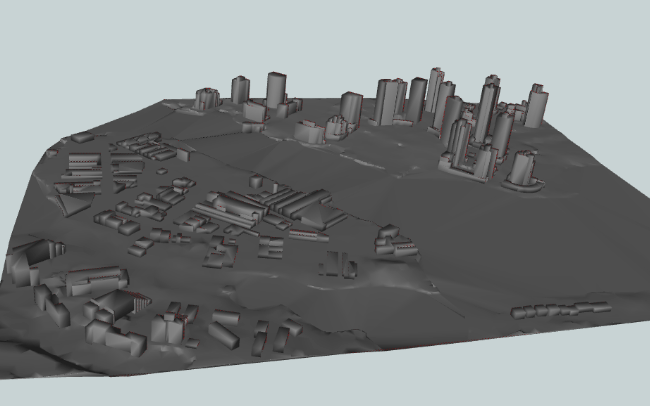 Create 3D models from GIS data to import into other diverse environments like Trimble SketchUp, Maya, or 3ds Max. Take your data straight into ArcGIS environments for GIS functionality by converting FBX to Esri File Geodatabase or to Shapefile format. 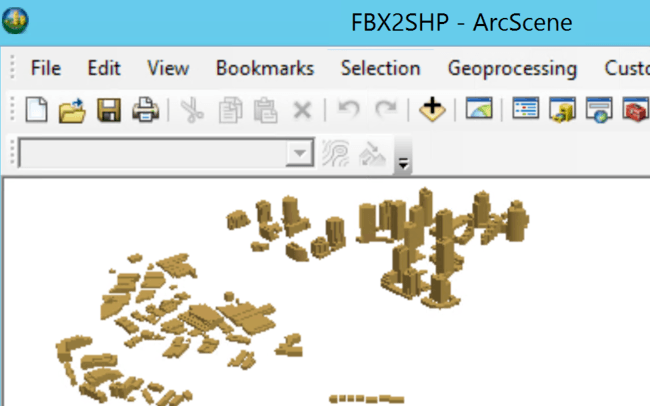 Writing to Esri File Geodatabase also means that you can conserve the textures of your model. Convert your data to OBJ for a simpler file format if you only want the mesh without the additional feature supports like animation, lightmaps, or rigs. 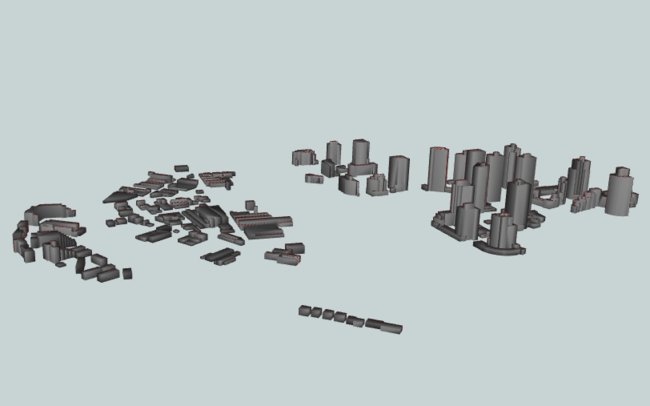 For example, this FBX file (650 KB) of 3D Vancouver buildings has been converted into an OBJ file that’s 240 KB smaller in an image adjacent. Aside from preserving georeferencing, you can use transformers like the LocalCoordinateSystemSetter to define the coordinate system, or the CSmapReprojector to transform it. 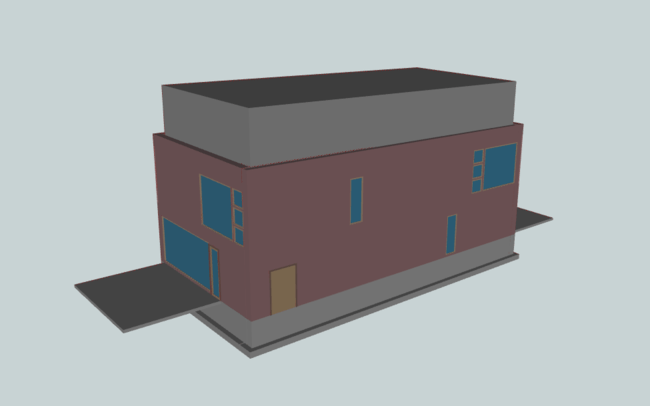 Below is an example of a conversion from FBX to KML that puts a duplex building on the soccer field of Unwin Park in Surrey. This workspace also sets KML properties like the pop-up balloon and the colour of the model, which has been set to blue. A workspace in FME Workbench that writes out a georeferenced 3D KML model which can be viewed in Google Earth. 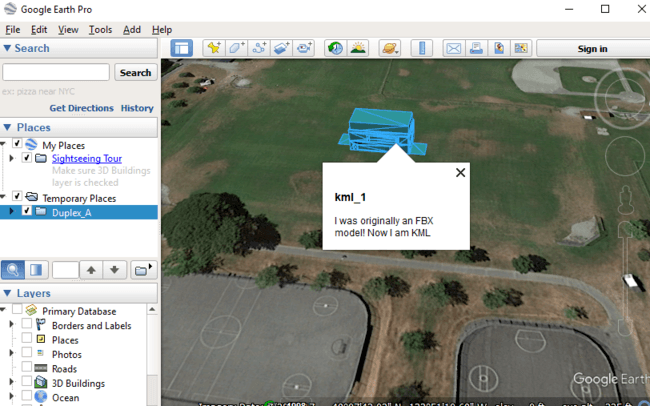 The KML output of the FBX duplex model in Google Earth. FBX file formats facilitate interoperability between 3D animation software such as 3ds MAX, Maya, MotionBuilder, Stingray, and many others. It is commonly used as an exchange format for industries like 3D animation, film production, game development, GIS, and even advertising. The table below outlines how Autodesk FBX (Filmbox) is supported by our different FME products, and on which platform(s) the reader and/or writer runs.